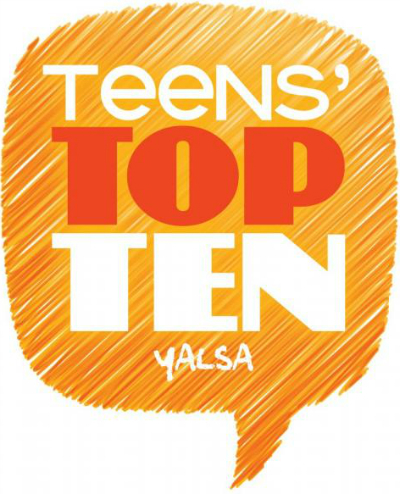 Teens aged 12-18 can nominate their favorite titles to be considered as a 2019 Teens’ Top Ten nominee via the public nomination form. Submit a book title now through January 1, 2019 to be included in the pool of possible 2019 candidates. For books to be eligible for consideration, they must be published between January 1– December 31, 2018. After Simon, the creator of Bayview High’s notorious gossip app, dies during detention, the four other students in the room are all framed for murder. But the twist is, the next day, they were all going to be on Simon’s app for secrets that would ruin their lives for good. So when Bronwyn, the Yale-bound student who never breaks a rule, Addy, the homecoming queen, Nate, the drug dealer, and Cooper the all-star baseball pitcher, all come together to find out what really happened, the rest of the story unfolds. Everyone has heard rumors of the legendary game of Caraval, and no one wants to experience it’s magic more than Scarlett Dragna. When Scarlett finally gets an invitation, she begins to realize that Caraval isn’t all that she thought. She must be careful to not get swept away in the illusion or risk losing her sister forever. Will’s brother Shawn has been murdered. In this free-verse novel, fifteen-year-old Will steps into an elevator with a gun in the back waistband of his jeans, ready to avenge his brother’s death, as he’s been taught to do. At each stop on the elevator down, someone connected to his brother gets on, giving Will a piece to a bigger story than the one he thinks he knows. Felicity’s sister has been missing for years, and Felicity and her mother have been trying to overcome the loss ever since. Felicity thought finding her was impossible until her new friend, Alec, gives her the opportunity she needs to reconnect with her lost sibling. Lazlo Strange is an orphan raised by monks, and has dedicated his life to learning. His favorite story is of Weep, the lost fairytale city that was literally removed from memory. This is the story of his quest for the magical city told in lush language with vivid world-building. Working with her mom on a wedding planning business, Louna has more than her share of weddings and the behind-the-scene disasters. Ever since the abrupt ending of her first love, she has been more cynical about weddings and especially, love. But maybe that will change when Ambrose comes along.